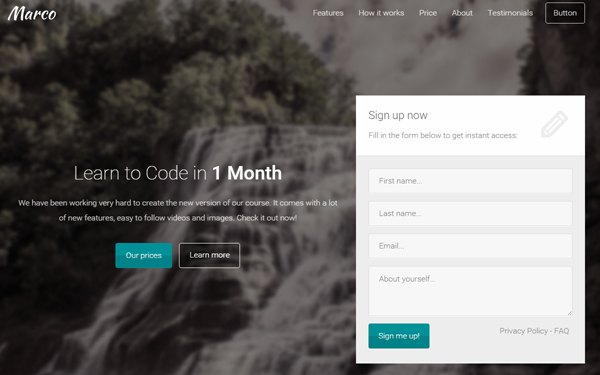 It seems that here on Azmind, our readers are enjoying very much the Bootstrap forms I’ve made until now. You can find them all here by the way. 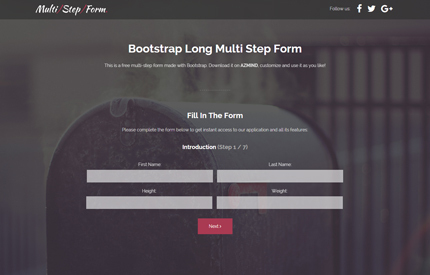 So, for today’s freebie I just finished creating a new one, this time a long multi step form made with Bootstrap. Why long you may ask? Because the form comes with 7 steps where the user has to enter different types of data. As you know, these types of forms can be used in a website or application when you need to collect a large number of data, resulting in an improved user experience. To make it even more beautiful, I’ve also added a fullscreen background and a transparent menu with logo and social icons which you can modify as you like. 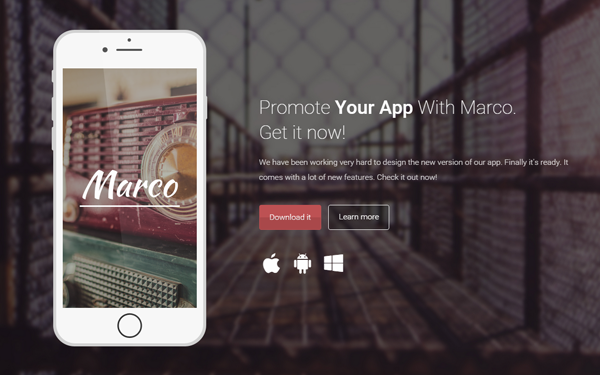 Below you can see the full list of features, the live demo and download it for free. Enjoy! The images are located in the “img” folder (assets/img). When and if you change the logo, make sure you create also the “@2x” version (double size logo) for Retina devices (iPhone, iPad). You can use this multi-step form template in personal and commercial projects, but you can’t sell or distribute it directly, “as is”. If you plan to use it, a link to this page or any form of spreading the word will be much appreciated. Hi and thanks for this wonderful form. How can I change the the email where I want to receive the form? Hi, great plugin you have here! However I would like to know if it’s possible to validate each field before clicking on the next button. I anticipate your response. Thanks a lot! Yes, it’s possible but you have to implement it, with JS, PHP, etc, depending on what you want to do with the form.